March 30, 2017  This impressive debut from director Osgood Perkins, about schoolgirls left at a Catholic school over winter break, "feels like a throat-clearing exercise for a horror prodigy," says our critic. March 23, 2017  "Go, Go Power Rangers!" - but should you? 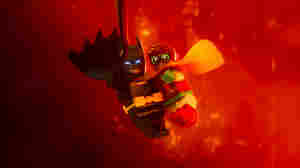 The film's playful, earnest tone and "gung-ho chintziness" slowly won critic Scott Tobias over. March 16, 2017  The sequel to Danny Boyle's blisteringly original 1997 movie lacks that film's structure and insight, but the cast can still generate fitful flashes of energy and charm. March 9, 2017  Dutch writer-director Martin Koolhoven's bleak, four-part, 149-minute tale, which features Guy Pearce as a sadistic preacher in the Old West, proves "rigorously unpleasant," says critic Scott Tobias. March 2, 2017  Anna Kendrick stars as a wedding guest stuck among the misfits in this labored, low-energy film from director Jeffrey Blitz. February 16, 2017  Charlie Day and Ice Cube lead a great cast, but this comedy, filled with cruel pranks and retrograde notions of masculinity, "leaves a sour aftertaste," says critic Scott Tobias. February 9, 2017  The Dark Knight lightens up, already: In this frenetic, loosely structured Bat-sequel to 2014's The LEGO Movie, Will Arnett's arrogant Batman finally gets over himself. February 3, 2017  Director F. Javier Gutiérrez attempts to give the horror franchise a VHS-to-digital upgrade with muddled exposition and too-few scares. January 26, 2017  A dog cycles through several canine lifetimes while teaching a series of owners to live, laugh and love. Critic Scott Tobias found the film's repeated, mawkish depictions of doggy death "wearying." January 12, 2017  Brendan Gleeson and Emma Thompson deliver strong performances, but director Vincent Perez's staid historical drama swathes its subjects' radical actions in too much art-house-reverence. January 5, 2017  A couple takes pride in rejecting the trappings of a conventional married life — but the form their rejection takes is so marked by cliché that the film fails to sustain interest. 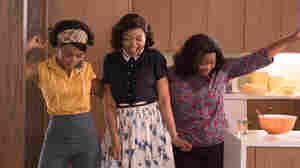 December 22, 2016  Janelle Monae, Taraji P. Henson and Octavia Spencer star in this drama about the brilliant African-American women whose mathematical skills NASA eagerly exploited ... without publicly acknowledging. December 15, 2016  An ad exec (Will Smith) mourning the death of his daughter meets actors portraying abstract concepts in this absurd, disingenuous film which lays bare Hollywood's inability to grapple with grief. December 8, 2016  This sprawling, chaotic comedy about a sprawling, chaotic holiday party expects its improv-tested cast to make up for its skimpy script. Some performers do; most don't. December 1, 2016  Director Pablo Larraín narrows the focus of his Jackie Kennedy biopic to a handful of days around the JFK assassination, and keeps his camera trained on Natalie Portman's expressive face.